There are plenty of examples of recent games using viscera, jump scares and horrifying imagery to make the player feel uneasy. A recent game which springs to mind is Outlast 2, which had such graphic scenes in parts of its alpha version (which was accidentally sent to the ratings board) that Australian authorities were considering banning the game. Other titles such as Resident Evil 7 have shown that sickening amounts of blood and tissue flying everywhere can be combined with stealth elements and classic survival horror to good effect. Some games eschew realistic blood and guts, and instead use other atmospheric tools to creep out the player. Recent release Little Nightmares, for example, combines stealth with putting the player in the shoes of a very young character, thus making them feel jumpier than they otherwise would. One of the better games I have played which uses atmosphere to bone-chilling effect is Danganronpa 2: Goodbye Despair (available on the PS Vita and as part of the Danganronpa 1-2 Reload bundle for the PS4). With Danganronpa V3: Killing Harmony just around the corner, it’s the perfect time to get caught up on the series if you haven’t played it before, and Danganronpa 2 certainly delivers when it comes to creating a tense atmosphere without putting players off their lunch. 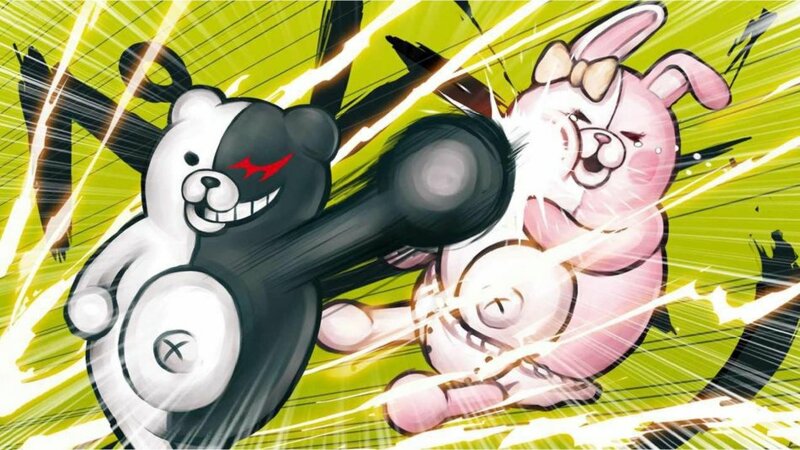 The Danganronpa series revolves around students at a high school for gifted pupils, who are forced into a game by a deceptively cuddly-looking, black-and-white teddy bear called Monokuma: if they kill one of their classmates and cannot be proved to be the perpetrator, then they can leave the game, while everyone else is executed; if the killer is caught, the killer will be executed, while the would-be prosecutors get to live another day. You might think that the trick to this is a solidary pact, in which they all promise not to kill each other. However, thanks to Monokuma’s ludicrous list of rules and the psychological warfare waged amongst them (if you’ve seen Battle Royale, you’ll know exactly why such pacts tend to fall apart), there are plenty of murders for you as the protagonist to investigate and then take to “trial”. 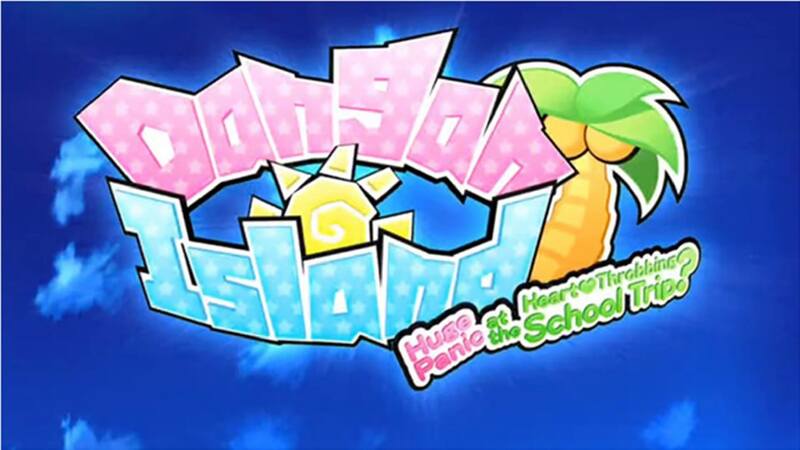 Danganronpa 2 is a little quirkier than the original: instead of taking place within the school itself, it takes place on a tropical island. The juxtaposition of sunshine and swimsuits with the suspicion and malevolence hanging in the air makes the player feel on edge right from the start. 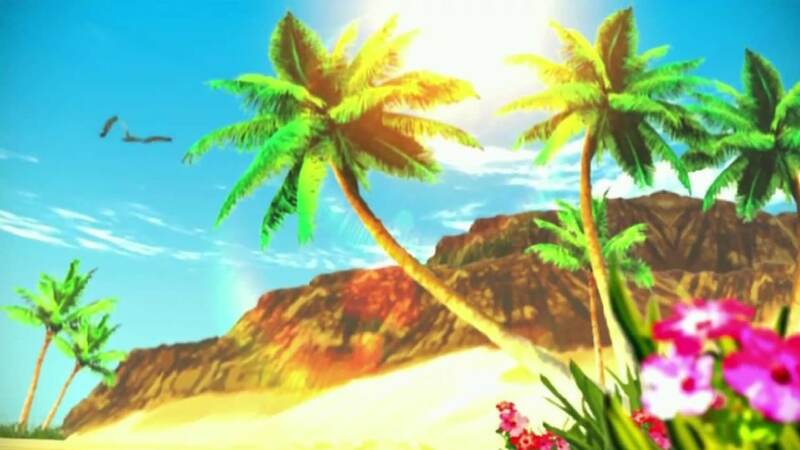 The protagonist (and the other characters in the game) cannot afford to let their guard down even for a second, so the tranquilising effects of being in a holiday resort only serves to enhance the danger. Like many violent games from yesteryear, Danganronpa 2 opts to colour its visible blood something other than red. The original Resident Evil had green blood in Germany to get past the censors, while Shadows of the Damned featured blue blood in Japan for the same purpose; Danganronpa 2 did colour its blood bright pink to please the ratings boards, but it also has its own stylistic effect, rather than being a mere compromise. When a character dies, they are generally someone you have bonded with over a long period of time. Even if they were more of a nuisance than a friend, it’s still sad to see them offed for no reason at the prime of their life. As a result, it is quite jarring to see them sprawled on the floor with traumatic injuries, as lurid blood the colour of birthday cake frosting spurts everywhere. While the use of pink blood here falls far short of ‘gory’, it gets under your skin because of the frivolity in seeing a character look so colourful as a corpse. They don’t look even look like anime humans, but like sweet pastries that are oozing their filling, which makes the students seem all the more like expendable pawns in Monokuma’s twisted game. As I’ve already mentioned, the primary manner in which Spike Chunsoft keeps the player on edge is by creating surroundings which encourage the player to relax, while simultaneously emphasising the presence of danger. This is comparable to what happens when you get carsick: the brain is seeing two different frames of reference at once, so becomes confused and you feel unwell. The two different sets of stimulae in Danganronpa 2 made me disoriented, since I didn’t quite know what to feel and I ended up constantly questioning my own emotions. This feeling is heightened by the game’s two mascots: Monokuma and Usami/Monomi. The previously mentioned Monokuma has a demeanour which at first strikes you as simply mischievous; he looks like a childhood teddy bear come to life, so how could he possibly be evil? Well, as soon as he opens his mouth (or earlier, if you’ve played the first Danganronpa), it becomes clear that he is a much more wicked presence. If you’re a person with a weakness for cute things, you’re going to find Danganronpa 2 particularly disconcerting. Usami/Monomi is a little more complex, since she is meant to be the benevolent guide. Presented as the class’ teacher, who takes them on a deserted island holiday to teach them the gentle values of friendship and love through mandatory confinement, she is a pink bunny wearing a magical girl costume with a heart-shaped staff. Upon being captured and tormented by Monokuma, “Usami” becomes “Monomi”, Monokuma’s henchwoman-by-coercion, and her costume is replaced with a nappy/diaper in order to humiliate her. Usami/Monomi is a thinly-veiled Care Bear parody, with all of her students understandably irritated by her clichéd, overly soppy behaviour. “Nice cute” fighting “evil cute”, and Usami’s creepy logic about how to guide her adolescent students’ socialisation, adds to the feeling that the Danganronpa world is so far removed from reality that the player can trust nothing. As the game progresses, the violence does become more explicit and the story takes darker turns; the cuteness also starts to dissolve, giving way to futuristic techno-horror and cult themes. A character from the first Danganronpa reappears as the true “big bad”, leading to a part of the game which makes me feel sick just thinking about it. The game gives the players a view of what would happen if some of the characters fell into despair. They would be serving Junko, the supermodel character in the first game (who was killed pretty much immediately but turned out to be behind the whole game), in spreading anarchy across the world. The characters mutate into the worst versions of themselves, killing police officers, conducting horrific experiments and, in what is probably the most gruesome part of the unfolding plot, using Junko’s corpse to produce her descendants. While there are flashes of violence, a lot of it is merely alluded to in a comic strip format. 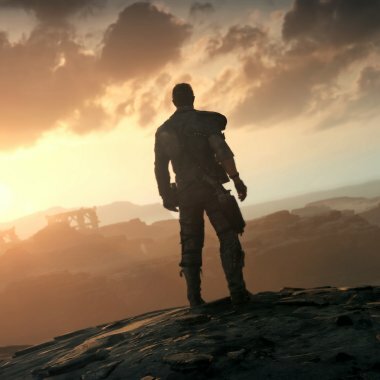 By not spelling everything out in protracted cutscenes which zoom in on violence, and instead hinting at what is going on off-screen, the viewer is left to fill in the blanks, drawing from a world which they have already learnt to take with a pinch of salt and which seemed to be constantly shifting around them. Danganronpa 2 provides evidence for the argument that some of the best horror hides parts of the action from the viewer; it’s also a way for games to cover quite horrific themes while dodging the ire of ratings boards. Danganronpa 2 may be outperformed in the scare stakes by many games, old and new, but this should come as no surprise since it is not a game which centres itself in the horror genre, instead combining murder-mystery with psychological thriller and relationship simulator. However, I think it is a very good game when it comes to giving you the creeps in unexpected, clever ways. It remains to be seen how this atmosphere will be maintained in Danganronpa V3: Killing Harmony, which will be released in Europe on 29th September.